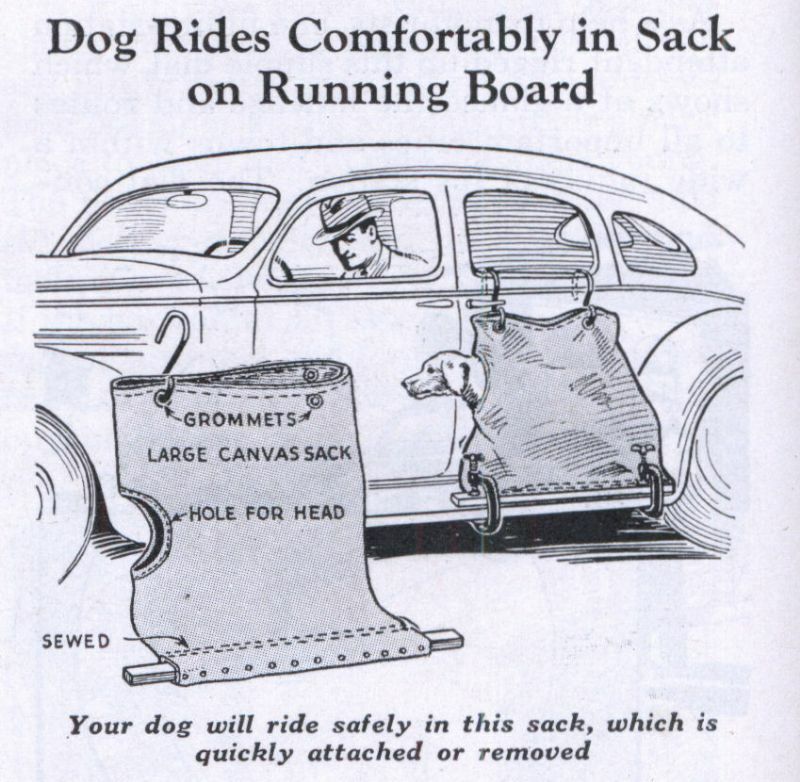 Back in the day, if you didn’t want your dog riding inside your car, it could ride “safely” on a running board attached to the car. 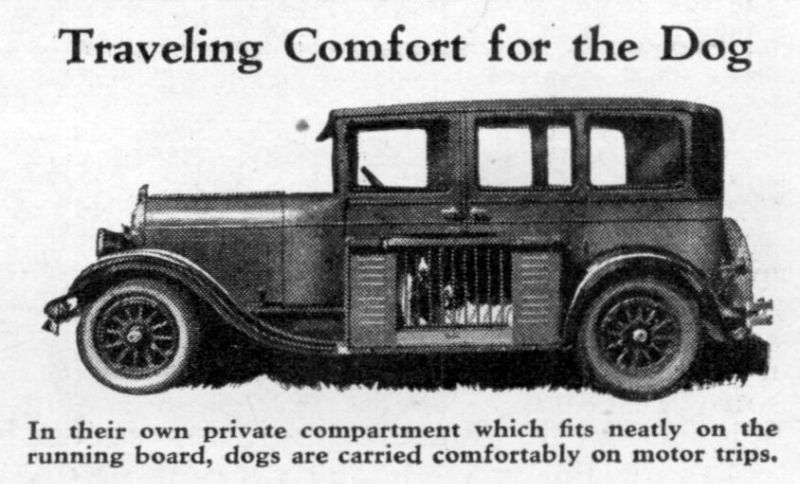 When we debate the history of automobiles in America and around the world, we rarely hear anyone discussing the history of man’s best friend traveling alongside him. Actually, there weren’t many that put dogs in the front seat, which was probably the safest spot for their furry friends. 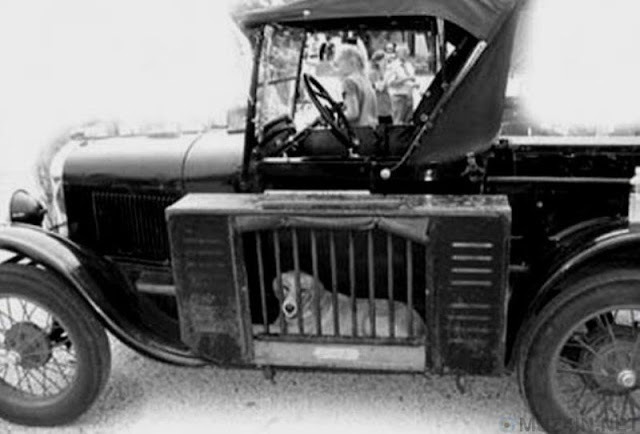 Much like the pooch in these pictures below, transport systems in early vehicles involved the running board. 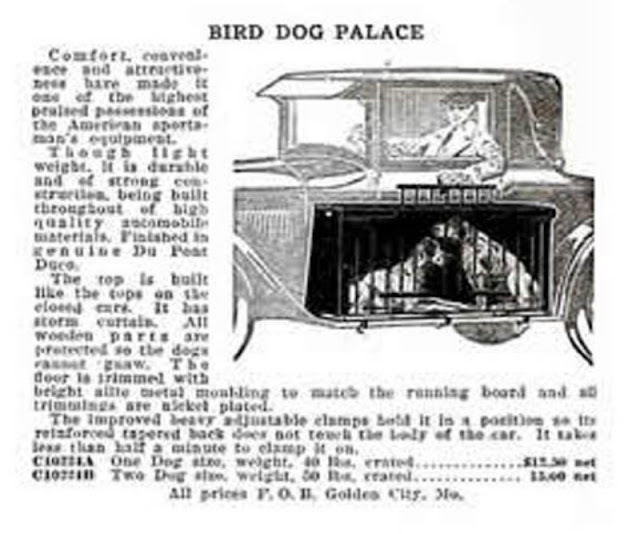 Some were simple running board–based boxes and shields while others, such as the Bird Dog’s Palace, were sturdy external steel enclosures. The latter were quite elaborate. They came in several sizes and included a barred door that could be released without the driver leaving his seat and an oilcloth cover that could be unrolled and buttoned into place if the weather got bad. The most terrifying and dangerous pet carrier must have been the dog sack, an actual canvas sack that (thankfully) had a head hole and was hooked and clamped to the side of the car.